Quite a few good smartphones are now available for an affordable price of 5000 – 6000 rupees. But what about tablets? Since tablets have larger displays and higher capacity batteries, the cost of manufacturing a similarly spec’ed tablet is more than a smartphone. 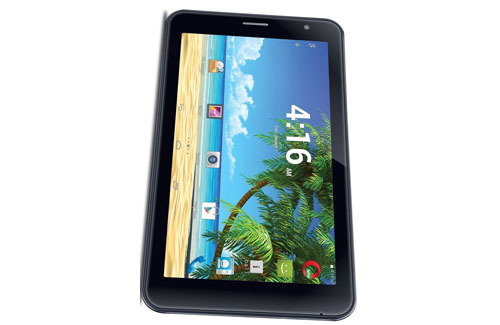 Fortunately, a few Android tablets priced under 5000 rupees are now available that perform reasonably well. 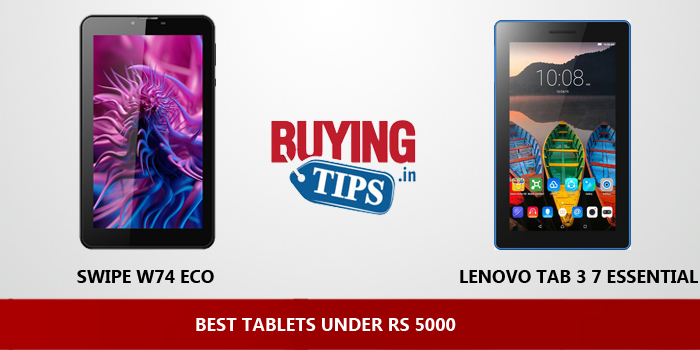 Do note that you should only be picking one of these tablets if you are on a tight budget. If you can increase your budget, then there are hundreds of better options in the market. The Android tablets that we have listed below, can only perform basic tasks like web browsing, video / music playback and run basic applications that are available in the Play Store. Some tablets do not come equipped with a camera and even if they do, don’t expect the picture quality to be great. 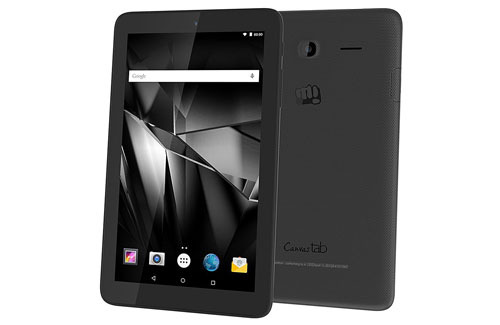 You can’t expect a lot out of tablets costing less than 5000 rupees. Most of the below tablets do not come with sim-card slots. What that also means is, you cannot make voice calls and data usage will only be through your local wifi network or wireless tethering from your mobile phone. 7 inch display looks decent for the price, touch works well. Looks wise the tablet looks good, feels premium while holding. It comes in 3 colours: silver, white and black. Supports sim, can make video call and voice call. works very well. Comes with wifi connectivity, can be connected easily. 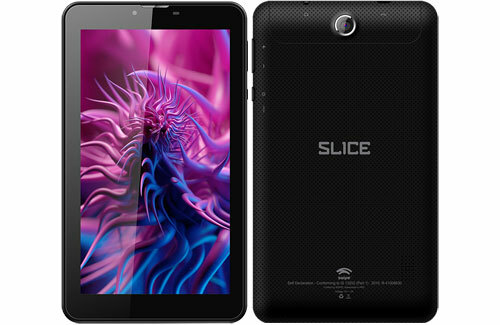 Performance of the tablet is smooth with 1GB RAM, sufficient for day to day usage. Can also play some low end to mid end games. Doesn’t heat up. Good battery backup , can last for more than 6 hours. Supports USB on to go that helps you to transfer files and vice versa. The display quality could have been better. The display is good for the price, you cannot expect much for the price. Comes in 2 variants, one which supports 3G and one which does not. This tab does not support any Sim card. 8GB internal storage with expandable storage upto 64GB. The 7 inch display offers good clarity and colour, worth the price. The tab feels slim and light, feels good to hold. Decent front and back camera with video recording. Pictures taken are not that good but you cannot expect much from a Rs 5000 device. Doesn’t support sim card, hence you won’t be able to make any calls. The tab fits perfectly in one hand, can be used as a phablet (Phone plus tablet). Good for internet browsing, basic apps and music. Sound quality from the loud speakers isn’t great. Battery doesn’t last for more than 10 hours. 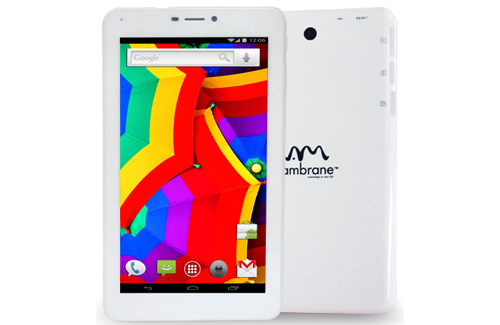 The tab looks good and comes in colours black and white. 4GB in-built storage and expandable storage upto 32GB. The display clarity is not good. 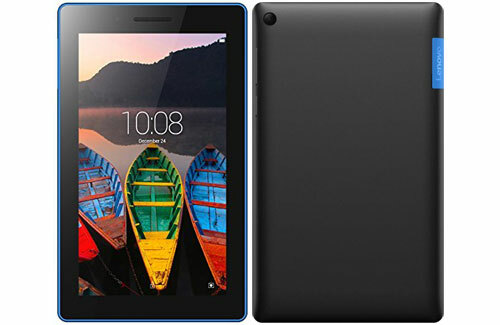 Have any questions regarding tablets under 5000 rupees? Post them in the comments section below! I need to purchase a tablet laptop kind of thing. I want to do drawing on my tablet. Which tablet would you suggest for drawing. @ Surendrasinh : Thank you!! good detail bro.. practical details are necessary for a buyer to buy an electronic … that’s why this is nic platform. @ Sidheswar Karali : Thanks ! !